For some people, organising a day out to national landmark, a country park, or a historic town, can be more difficult than just jumping in the car. Does it have wheelchair access? Will it get busy at certain hours? While various tourism websites provide reviews, few answer these questions. It is for this reason that Euan’s Guide was set up. The website gives disabled people the chance to review, share and discover accessible places to visit. As part of its Accessible Highlights series, a new accessibility guide to Fife has been launched – a free, downloadable guide to Fife, highlighting the best attractions the Kingdom has to offer, while also giving useful tips for disabled visitors. 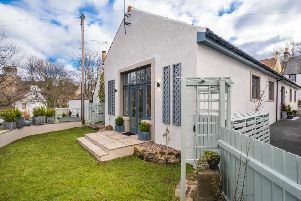 All of Fife is included, from St Andrews to Dunfermline, and quick tips point out easiest ways to access sites, where the closest disabled toilets are, and even what type of guides are available. To mark the launch of the new guide, a series of digital postcards showing just how accessible the region is for disabled visitors have been created. The digital snapshots show Euan’s Guide ambassadors stopping off at three of the Kingdom’s most iconic locations: the picturesque coastal village of St Monans; the home of golf, St Andrews; and Kingsbarns Distillery. Euan MacDonald, co-founder of Euan’s Guide, is hoping the Fife guide will inspire disabled people and their families and friends to explore a region which is not only accessible to disabled visitors but also geographically accessible for people in Scotland, the north of England and beyond. Euan said: “For wheelchair users, it can be difficult to find accessible places to go, even if it’s just for a coffee with friends or to enjoy a stroll along the coast. “There can be a ‘fear of the unknown’ and Euan’s Guide is there to offer that all important information to disabled people and their friends and family when considering visiting a place for the first time. Part-funded by VisitScotland Growth Fund, the Fife Accessible Highlights guide is the latest in a series of three printed guides from the charity. The others uncover surprisingly accessible Scottish castles and battlefields and Scotland’s trending city, Dundee. While the website has been Euan’s Guide’s main information source for disabled people looking for accessible places to go, printed guides offer a more geographically focused option. Euan’s Guide was founded in 2013 by Euan, a powerchair user with Motor Neurone Disease, and his sister Kiki, when they tried to search for recommendations on accessible places to visit and realised a platform for this didn’t exist. Their creation now lists thousands of friendly and honest disabled access reviews and listings. The site has also received the support of several high-profile celebrities. Professor Stephen Hawking said Euansguide.com makes “a huge difference for people across the UK, giving them a reliable source of information to help plan their leisure, personal and business activities”. Author Ian Rankin, parent of a young adult wheelchair user, described it as “Trip Advisor with wheels on”.